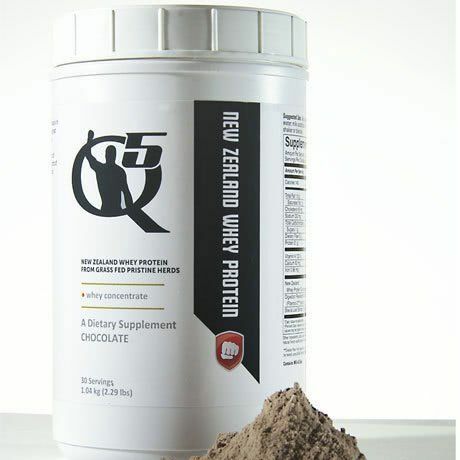 Our premium New Zealand Whey, in a delicious rich chocolate flavor. No added sugar (under 1 gram of naturally occuring sugar), no artificial sweeteners, no artificial flavors. 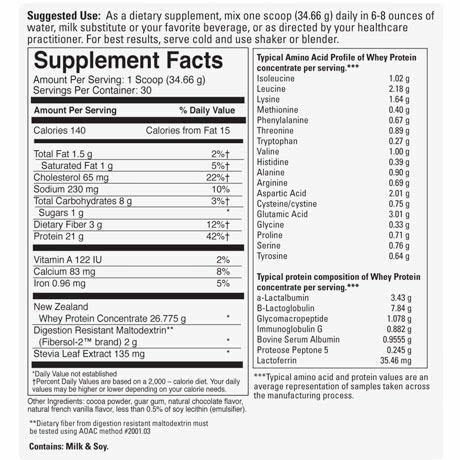 New Zealand whey comes from grass fed, anti-biotic free, hormone free, humanely treated and naturally pastured cows. The NZ dairy industry produces the finest dairy products in the world thanks to strict regulations that insure optimum conditions for the dairy herds. From the organically grown oat grass the cows graze on, to the rigorous inspecitions of the final product, there is no cleaner source of whey on earth. And the taste? You can literally eat this out of the container with a spoon – it’s that good. After selecting the finest whey on the planet, we carefully blend in just the right amount of natural rich chocolate.